A native of Salt Lake City, Utah, where his father was a practicing orthodontist, Dr. Hurst attended Brigham Young University, earning a B.S. in zoology. He then attended dental school at the University of Oklahoma, graduating with honors and numerous clinical awards. Following dental school, Dr. Hurst entered the graduate program in orthodontics at Loma Linda University, also earning honors. 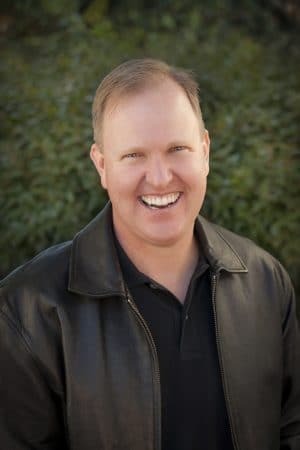 Dr. Hurst has been around orthodontics all of his life, and he can’t think of anything he would rather do. He enjoys working with each patient to create a beautiful smile, and watching the positive effects of their new found confidence. His office is built on the philosophy to treat his patients as he would like to be treated. Dr. Hurst is a member in good standing of the national, state, and local societies of the American Dental Association and the American Association of Orthodontists. Dr. Hurst attends many continuing education courses each year to stay current on new technology and innovative happenings in the world of orthodontics. Dr. Hurst and his wife, Shauna, met while both were attending Brigham Young University. They were married in Los Angeles in 1992. Shauna grew up in Orange County and currently stays home taking care of their two children, Ryan and Hailey. The Hurst family enjoys traveling and photography. Dr. Hurst is also an avid swimmer. He is a model train collector and a huge Disney fan and he loves his 1965 Mustang convertible!